Scotty Sanders has been leading organizations for 30 years, initially founding and serving as CEO for a multi-million dollar business and then spending 20 years serving in executive and administrative pastor roles for two megachurches. He has worked with hundreds of pastors and consulted with churches nationally and internationally. Scotty’s expertise includes most aspects of church life, leadership development, strategic planning, creating an environment of excellence, building a volunteer base and connecting people to the body. He is also an author of four books, countless articles, and has spoken to audiences worldwide. Before joining the Church Catalyst team, Dr. Michael Walker founded and managed a successful dental practice which was recognized as an industry leader by professional trade journals. After retirement, Dr. Walker sold his business in 2003 to devote himself full-time to encouraging and motivating others, celebrating his fifty-fifth birthday in Thailand on a mission trip for his church. Much of his time now is spent on mission trips providing dental care and promoting the ONE Focus Initiative. Dr. Walker was the chief organizer and strategist for the ONE Focus formulation along with Scotty Sanders. 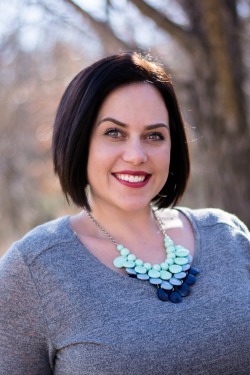 Jenny LoBello has served in the lay leadership of churches for most of her adult life and is now Communications Director at BridgeWay Church. She has the gift of evangelism and lives out the great commission in her everyday life. Jenny was formerly the Community Relations for Chick-fil-a in Flower Mound, TX and has spent time as a child advocate for abused children for CASA of Northeast Louisiana. 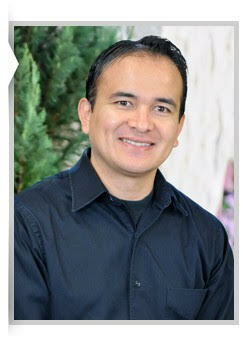 Humberto is serving as the Hispanic Pastor at First Baptist Church Euless. His passion is for connecting with people and seeing God transform their lives. Before arriving at First Euless, he served in congregations in Chicago and Miami. He has degrees in Civil Engineering and Administration from Panamerican University, Music from the University of Guadalajara, and Masters of Divinity from Moody Theological Seminary. He is currently studying his Doctorate Degree at Dallas Theological Seminary. Together with his wife Sarah, they have five children, Juliana, Mackenzie, Josiah, Micah and Janelly. Besides preaching and teaching, he likes sports, music, traveling and reading. Pastor Mark Kamodzi Zimbiri is a native African pastor from Migowi-Phalombe, a district in southern Malawi. Mark attended a Bible Correspondence course with the Baptist Convention of Malawi and Emanuel Bible College in White River South Africa and graduated from the World Harvest School of Missions in Blantyre. 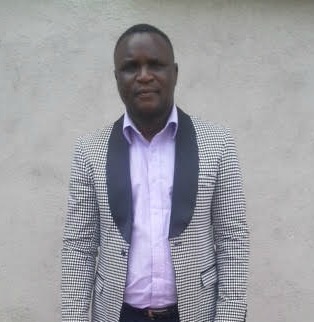 He is a well trained social worker specializing in rural and community development. Pastor Mark founded and is currently leading several ministries in Malawi and Mozambique such the Good News Outreach Church & Ministries International, the River of Life Organization, and the Global Harvest School of Missions. Pastor Mark and his wife Jean reside in the commercial city of Blantyre southern Malawi with their three children Hannah, Mark Junior, and Khumbo. Scotty Sanders has been leading organizations for 30 years, initially founding and serving as CEO for a multi-million dollar business and then spending 20 years serving in executive and administrative pastor roles for two megachurches. Having worked with hundreds of pastors and consulted with churches nationally and internationally, Scotty is committed to helping churches bridge the gap to reach God’s potential in their communities. Scotty’s expertise includes most aspects of church life, leadership development, strategic planning, creating an environment of excellence, building a volunteer base and connecting people to the body. Scotty and the team will join you and your church to design a plan for explosive growth, health and renewal. Brad is the Pastor of Lawrence Drive Baptist Church in Macon, GA. He is married to Casey and they have three children; Brady, Griffin and Mary Beth. Brad graduated from Georgia Tech and received his Master of Divinity at Southwestern Baptist Theological Seminary and Doctor of Ministry from Southeastern Baptist Theological Seminary. He served as Missions Pastor at First West in West Monroe, LA before moving his family back to his home state of Georgia. Brad is involved in many community and state projects as well as mission endeavors, including participating in Extreme Mission trips around the world. John is a senior partner of Cameron and Hines, a CPA firm in West Monroe, LA. He is very involved in performing professional services to assist churches in the area. John also participates in many committee and boards to serve his community including the following: Treasurer of First West of West Monroe, LA, Vice-President of Finance and Investments of Living Well Foundation, President of Jason Paul Cameron Foundation, Finance Committee of Northeast Baptist Association, Treasurer of West Monroe High School Foundation.